Is this the first or second Deathstar? Is this Yavin IV or Endor? (it seems more la Yavin IV to me, but who knows). Although, the pieces of the Deathstar could have also landed on another planet in the Yavin or Endor system. What are they looking for in there? (either the planet or the ruins). Is this connected to the Emperor's return (in case you don't know it yet, he is back for Episode IX). 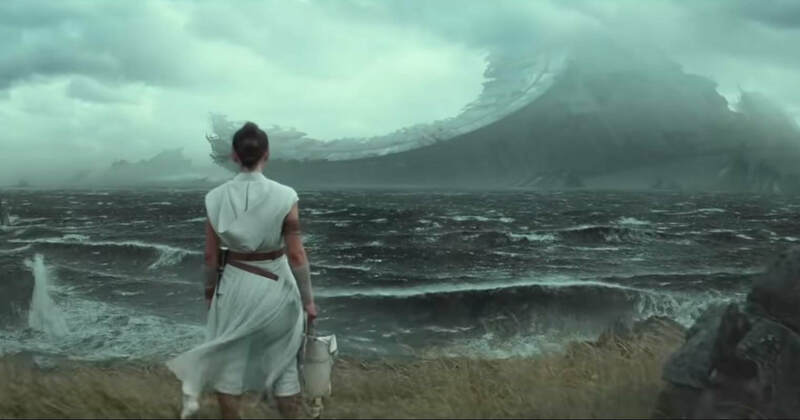 If this is Endor, then Kylo Ren has definitely been here before to retrieve Vader's burned helmet. Is this actually relevant to the plot? But most important: if this is Endor, are we going to see the EWOKS again???? J. J. Abrams is definitely applying the same formula used for The force Awakens, and that's using as much of the familiar visual elements from the original trilogy as possible. so bringing our heroes and villains to the place where the Empire was defeated is like bringing the saga full circle to him. or maybe it is just that, a visual element to gives us a sense of nostalgia and connection between trilogies. 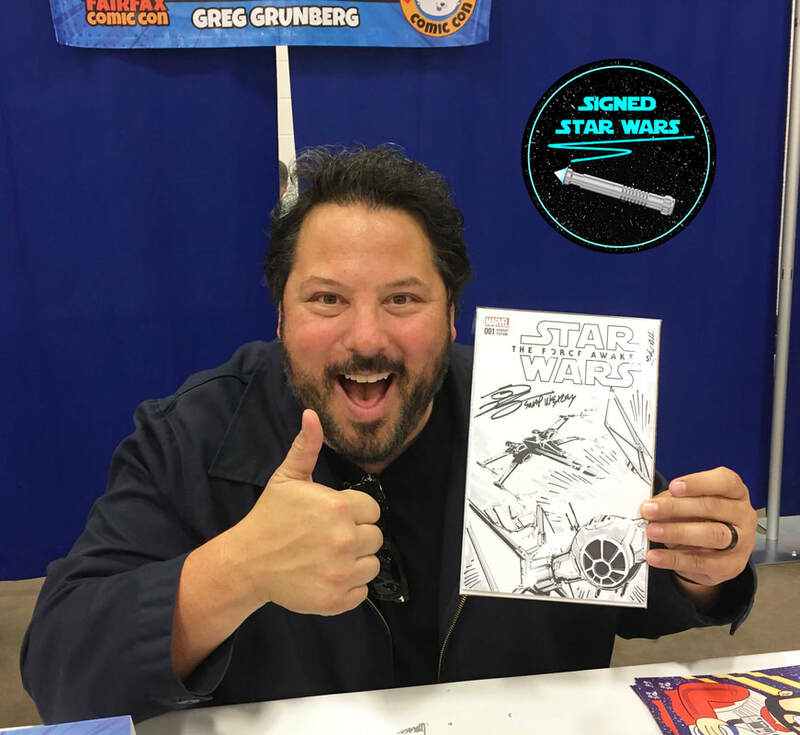 If you have the chance to meet Greg Grunberg, do so! he is not only in everything cool (Alias, Lost, Star Wars, Star Trek, Heroes, etc.) but he is also a very nice person who loves to talk to fans. There's a small story behind the signing of this comic book: The comic book was originally blank when I handle it to him. I asked Greg to signed it close to the top since I was planing on commissioning a sketch someday in the future. This all happened at Fairfax Comic Con (August 26th). Since it was a small (but fun) con, me, my wife and kids got all we wanted to get signed fairly early in the day. So we went to explore the different vendors and stands. That's when I run into Brian Lacey and his wife. they had a stand where they sell Brian's art (BLA!! which is short for Brian Lacey Art). I've met them before at All Star Comic Con, and they remembered me. 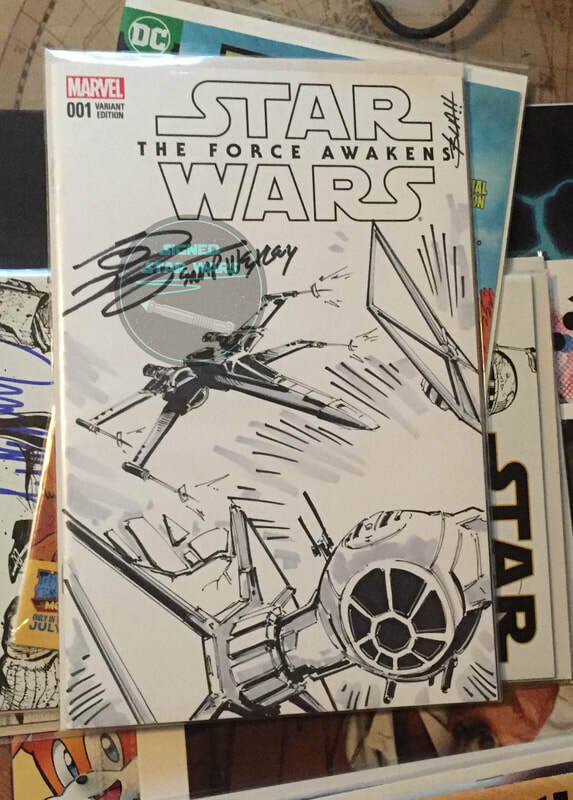 so I asked him if he could sketch a X-wing fighter shooting down a Tie Fighter on my recently signed comic book. He agreed. about an Hour later, it was done. As you can see, it looks beyond awesome! I have never before commissioned anything from him, so I didn't know what to expect. the result blew my mind. I took it back to Greg for his "blessing." he loved it! he was amazed by it, and told me "you need to take a picture of it with me!" (so I did). He was more than happy with what the artist did with the blank cover with his signature on it. I later went back to Brian and his wife to share the news and the picture. Greg also told us that Snap Wexley Lives! Snap didn't die in the Last Jedi. As a matter of fact, he mentioned that in one of the aftermath novels, and maybe in a comic book, it is said that Snap was away on a mission when the events of The Last Jedi happened. He was flying to The U.K. after the con to shoot scenes for Episode IX. ​#EpisodeIX #GregGrunberg #SnapWexley #StarWars #BLA!! Who is Rey? And will we find out in Star Wars: The Last Jedi? One of the biggest mysteries of the sequels is Rey's identity. Hopefully this secret will be revealed in The Last Jedi. if not, we will maybe get a clue or two. if the new trilogy follows the formula of the original (which it is so far doing) we will definitely get a surprise about her parentage right before the movie ends, during a climatic scene. In the mean time let's speculate and explore some of the theories going around the internet, and others that aren't. 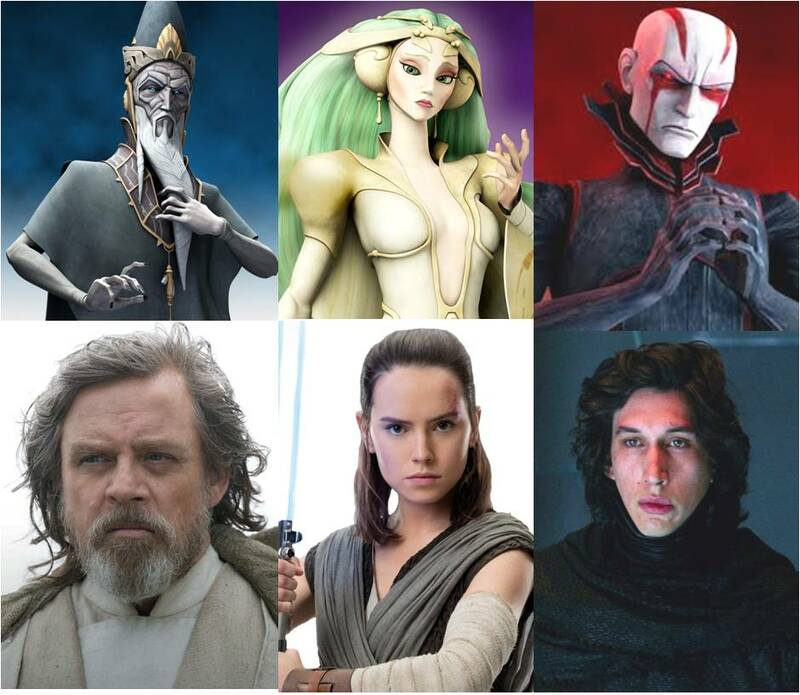 Fan theory: Luke Skywalker, Kylo Ren and Rey are the new incarnations of The Mortis Father, Son and Daughter. And Supreme Leader Snoke knows it. Ever since Disney took over the Star Wars franchise, they have declared what is cannon and what is not. Star Wars The Clone Wars cartoon is official cannon. One of its best story arcs was the Mortis one. In this story, after following a 2,000 years old distress signal, Anakin, Ahsoka and Obi-Wan encounter a monolith floating in space. It ended-up being a gateway to the planet Mortis (which exists outside the material world). This planet was home to three humanoid creatures known as “The Ones.” They were The Father, The Son, and The Daughter and were extremely powerful force users. They were also the embodiment of the force. The light side (The Daughter), the dark side (The Son) and the balance between the two of them (The Father). Mortis is suspected to be the origin point of the force itself. This allowed the father to maintain the balance in the force with ease. But the Father, Daughter and Son were neither Jedi nor Sith. They had powers beyond any other known force user, and they were ancient. The father was looking for the chosen one, Anakin, to take his place. While the Son was trying to use him to escape Mortis and return to the galaxy. At the end of the story arc (spoiler warning) all three members of the family ended up dead. How is this important to Star Wars Episode VIII: The Last Jedi? Keep reading to find out. ​If you are going to celebration Europe, most likely you are going to spend most, if not all, of your time at the Excel center having fun, queueing in line to get a wristband so you can queue in line later to get into a panel, getting autographs, photo ops, tattoos or just walking around. But, there is another Star Wars activity you can be doing outside the Excel center and I promise you it is very rewarding for Star Wars fans of all ages. Madame Tussaud's London has an amazing permanent Star Wars Experience. 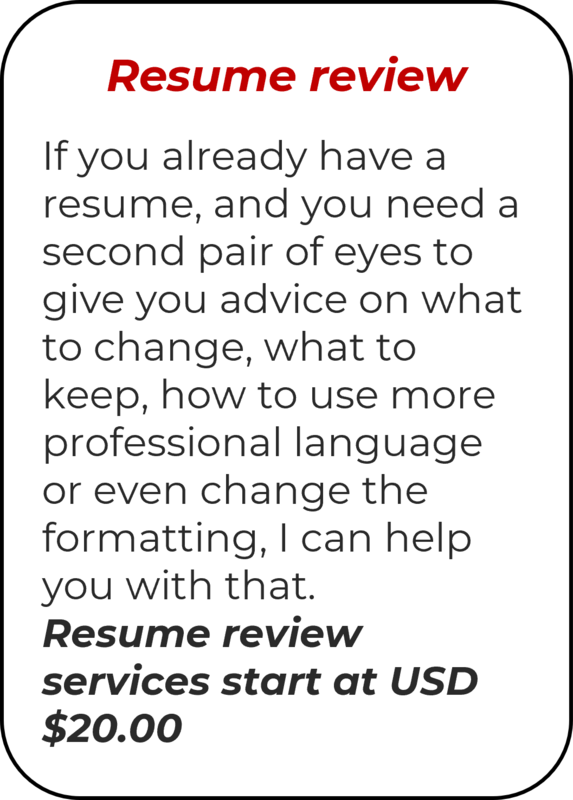 Continue reading the article to find more about it. 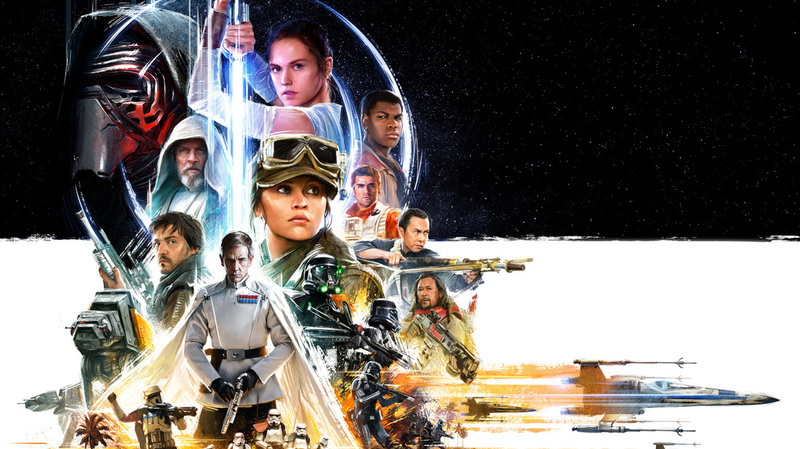 Image is copyright of Disney and Lucas Film Ltd.
​Star Wars Celebration Europe 2016 (London) has many fans disappointed. We, the Signed Star Wars family are among those. Please read this piece of opinion on why the Star Wars Celebration event as we knew it no longer exists, and has instead turned into a chance for those in charge to squeeze us fans out of every penny we have. Please don't take this article as an attempt to dissuade you form attending SWCE or enjoying it. It is just the opinion of some disappointed fans that were looking forward to this event for more than a year now. Before Star Wars Episode VII: The Force Awakens was released, one of the minor (not so relevant to the plot) questions people were asking was: why does C-3PO have a red arm? 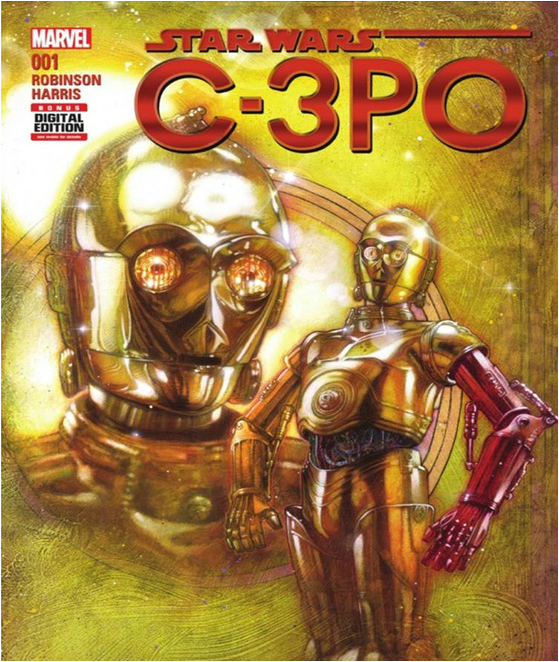 The special one shot comic book C-3PO #1 answers the question. It was supposed to be released in December 2015 as a companion to the movie, but release schedules and working on completing a story can be tricky, so the release got pushed to April 13th 2016. We finally have it here. Warning, this article is a summary of the 31 pages comic book. If you want to read the comic yourself and don't want us to spoil the surprise, then stop right here. If you want to find out why he has a red arm, then continue after the break. ​“It’s a trap” is one of the most known and quoted phrases of the star Wars universe. The short ominous phrase wouldn’t be so famous if it wasn’t for the voice that utters it: Ercik Bauersfeld. The voice behind Admiral Ackbar didn’t scream in panic or despair (even though the odds were against him). He just made a statement; many would say even an obvious one, to warn the Rebel fleet of their impending doom. That, in my opinion is what made the phrase the most remembered from Return of the Jedi. Sadly Erick Bauersfeld passed away recently, on April 3th, 2016. He will always be remembered by his fans for his work and charisma. 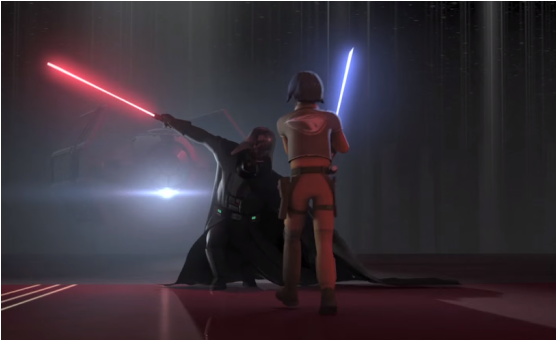 The Rebels Season 2 finale delivered some of the most dramatic moments of the series so far. In a previous article, we went through the episode and discussed the implications it has for some of our favorite characters. But the real question is: what really happened to Ahsoka at the end of the episode? Keep reading after the break to read the most circulated theories so far. The Rebels Season 2 finale might be the most dramatic episode yet of both Rebels and The Clone Wars together. We hope you had a chance to watch today's one hour episode of Star Wars Rebels. The announcement of the season 2 finale created lots of expectations with it's title "Twilight of the Apprentice. " 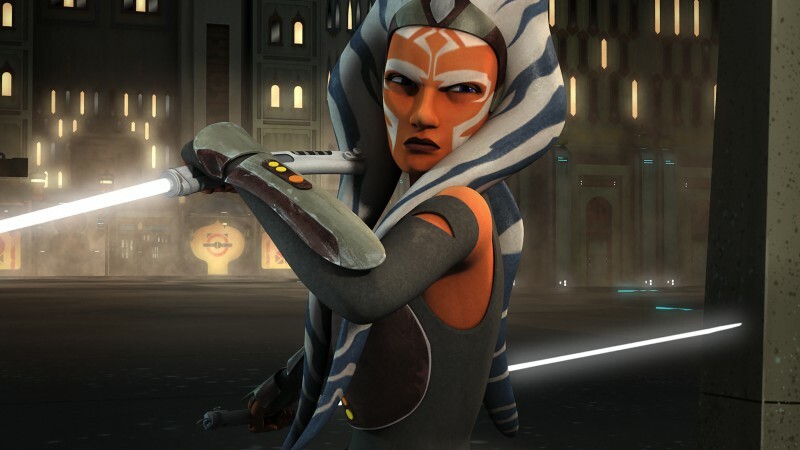 In a previous article we discussed how this title not only made reference to Ahsoka, but to other characters as well. Fans were expecting to see the end of Vader's old padawan Ahsoka Tano. Disney has posted articles about her and even about Ashley Eckstein (voice of Ahsoka) on their website, which was quite ominous. So, what actually happened? Did she meet her demise? What was Darth Maul doing on Malachor? Was this episode a real game changer as announced? Keep reading at your own peril. BIG spoilers ahead!